The following story comes from Anne Mirsky. Anne moved to Israel in 1971, after living in Baltimore, Dayton, Ohio and New York. 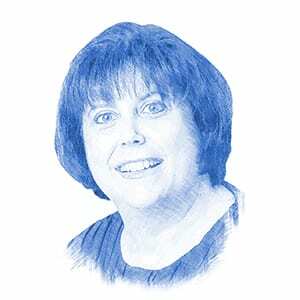 She has lived in the Greater Jerusalem area for more than 40 years. All three of her children were born in Jerusalem. I was traveling alone by car many years ago after a seminar from the area of the Kinneret (Sea of Galilee) returning home in the direction of Jerusalem. I drove on a newly-paved road around the city of Jericho. All of a sudden, I realized that there were no cars in either direction. Everything was pitch black. The thought occurred to me that if my car got stuck, I would be stranded near Arab areas. A knot of fear began to grow in my stomach and I felt the sensation of deepening fear. I deeply felt the message from the One Above. I then realized that the tape player in the car had stopped playing a long while before and had rewound to the song at just that moment. I felt God with me at that moment in time. This story stayed with me over the years because I had never before or since experienced the feeling of fear growing like a knot in my stomach. I absolutely knew, when the song by Shlomo Carlebach began, that God was watching over me. And then I felt an overall sense of calm.